Book News: Thanksgiving Freebies! a.k.a. Get Them While You Can! So I do have a little time this happy Thanksgiving to not only wish all of you who celebrate (and those who don’t) a joyful and loving day! Also to tell you that you can get two of my books for free right now! Get The Opening Bell, my premiere book with California Times Publishing, for FREE on Amazon.com! 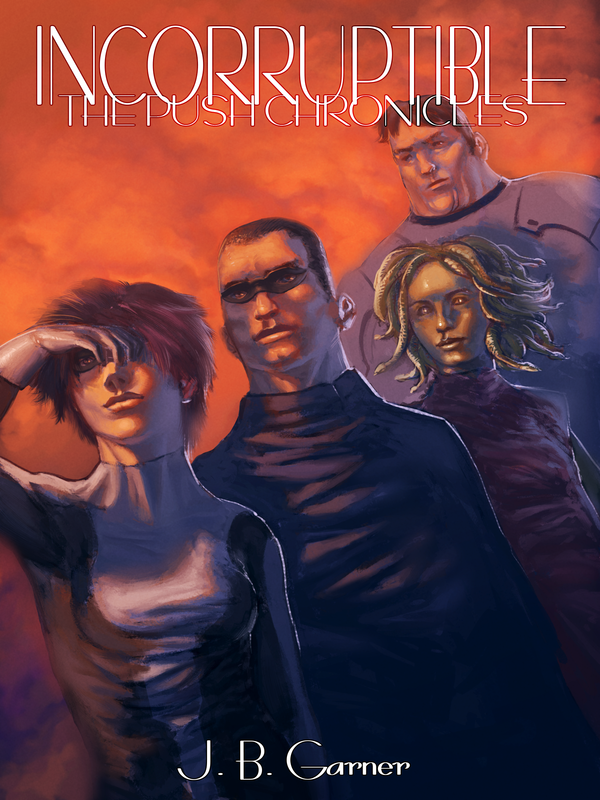 Also, you can get Indomitable, the first book of The Push Chronicles for FREE on Smashwords! Grab them while you can, because you can never know when things change! So, I’ve spent the weekend working at the side job and absorbing some keen advice from a cluster of my authorial friends. Quick shout outs to J. A. Cipriano, Michelle Knight, and Lori Alden Holuta for their support and insights! What that advice has helped me do is start to formulate a more concrete plan for the future. Book News: The Opening Bell Now Available in Hardcover! Wow, this is a first. I mean, I feel like it’s a (possibly insignificant) milestone to have one of my books released in hardback format but I’m pleased as punch either way! You can get The Opening Bell in e-book, softcover, and hardcover through Amazon KDP and, if Amazon doesn’t please you, you can get the e-book through Smashwords, Barnes & Noble, and other outlets! I’ve talked about formatting a plenty in some of my recent articles, both writing and reviews. I’ve talked about why good formatting and editing are important and we’ve seen poor formatting impact review scores, an unfortunate but real factor when it comes to the enjoyment of a book. It’s something so obvious, yet so easy not to understand as a starting author. Heck, I only really grasped it completely myself until a few months as a reviewer and certainly made my own share of mistakes in this regard, as you can see by the multiple editions I’ve put out of my own novels in such a short time. However, so far, I’ve offered only critique without any real advice or assistance. Let’s fix that. Well, give or take 8 to 24 hours. If you remember back from my first and only attempt at coordinating a preorder release, I discovered that Amazon, Smashwords, and what not all release at a different ‘midnight’, not to mention each having their own wrinkles to the ‘preorder’ and ‘release on a schedule’ thing. For that reason, for the rest of my books, I’m just uploading and running the usual approval process. Also, expect the next Starving Review by mid-week! Enjoy and have a good day! Tomorrow: Indefatigable goes on sale! On Smashwords, Amazon, and a variety of other channels, you’ll be able to purchase the sequel to Indomitable, the second of three novels in The Push Chronicles, Indefatigable. Tomorrow, I’ll post up the final sales links and the official blurb. I hope folks who read the first book and enjoyed it will get themselves a copy of the second. There’s still quite a tale to tell!